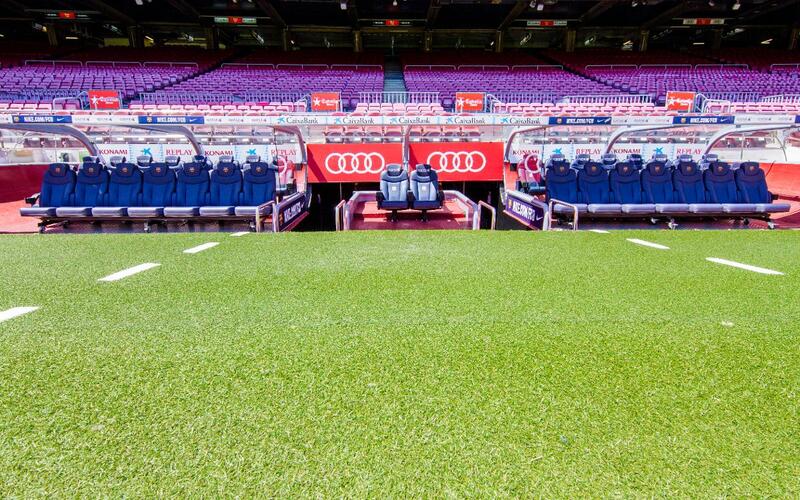 Explore all the different parts of of the Camp Nou as you take a tour of one of the most emblematic stadiums in the world; The stands, the field, the away side's changing room, the tunnel, the pressroom, mixed zone, the dugout... feel the Camp Nou's magic from the pitch level. Now you can sit in the first team dugout! Celebrate the Club's History in the FC Barcelona Museum; players, matches, trophies, and memorabilia that have enthused millions of fans from around the world. Audiovisual area and multimedia installations. Messi Space. Trophy Gallery. European Cups.